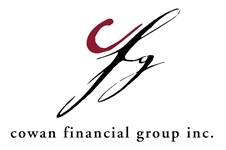 The Lifetime Financial Strategies Program | Cowan Financial Group, Inc. Participants in the Lifetime Financial Strategies ProgramSM work through six distinct steps, during regular strategy and actions sessions with a facilitator from Cowan Financial Group. We review your completed Financial Profiler and discuss your current strategies. The Lifetime Vision Questionnaire will help us focus on what is most important to you. Financial success starts with a Lifetime Vision. During this session, we help you develop your clear Lifetime Vision and discuss how you can begin to realize this vision for yourself and your family. We review and evaluate the financial tools, resources, and opportunities available to you and measure the impact new financial strategies will have on your plan now and in the future. We create a "living" document and begin to implement the strategies to enable you to realize your vision. This plan also allows us to measure your financial progress over time. We help you create your personal "critical financial path", a tool outlining the strategies and actions that you have implemented. Through regularly scheduled sessions, we review the progress you've made, discuss new strategies to enhance your plan, and make any necessary adjustments to address life's inevitable changes.